Consume a herbal drink is one of the various ways to keep perfectly healthy. This kind of way is relatively safe without unwanted side effect, easy, and cheap. Drink a herbal drink not only give you a pleasure but also make you healthier. 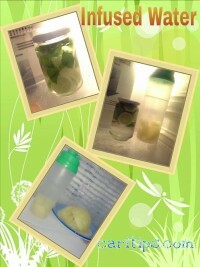 Acctually it is easy to make herbal drink by yourself. 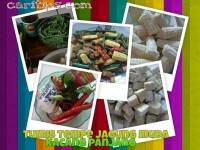 There are so many simple recipe that we can prepare within short time. Before we make a herbal drink, there are some points we have to consider. First, we only use the high quality ingredients, that is old rhizome. You should not use a sprouting rhizome. When dormancy period passed, the rhizome sprout and use its energy to grow so that the active coumpound contained within will decrease. That is why the sprouted rhizome is not good enough for a herbal drink. If you like to store some ingredient for stock do not keep them too long passing over their dormancy period. It is always better to use the fresh ingredient, but if only the dried herbs are available make sure that they are perfectly clean and free from mold. As well as ingredient, the utensil to cook the herbal drink is important. The optimal benefit we can take from herbal drink that is cooked by a pot made from clay. Herbs can interact with cast iron or aluminium and cause a chemical reaction that could alter the therapeutic quality of the herb. Therefore do not prepare or cook your herbal drink by using pan or other container which are made from these metal. Other than clay pot, the heat-resistant glass pan is also good selection for brewing the herbal drink, but these utensils are more expensive than the clayware ones. The following are some recipes of delicious healthy herbal drink. 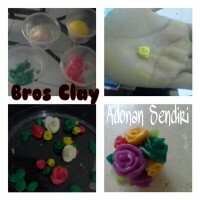 They can be made easily by yourself. How to make : Place coconut milk, coffee, palm sugar, and pandan leaves in a pot. Bring to a boil on to medium heat, stir frequently to prevent the coconut milk from curdling. Once it boils, fragrant and the palm sugar has all dissolved, turn off heat. Filter and the drink is ready to serve. Better to serve while it still hot. Actually the original tradional recipe of bajigur do not contain coffe or chocolate, both added in modern version of bajigur. You can make bajigur without coffe or chocolate to get authentic taste. Boil water, ginger, pandan leaves, lemongrass, palm sugar, sugar, and clove until it thick. Add fresh milk and boild for a while. Filter and ready to be served hot. Since long time ago Tamarind has been use as medicine because it has many of beneficial properties that can improve your health. One of tamarins properties is rich in vitamin C which has natural antioxidant activity, it means vitamin C able to rescue cell from harmfull free radical. Vitamin C also can help to fight against all kind of disease and increase immunity of the body. Meanwhile, other ingredient of this drink that is curcuma, has also powerfull benefit to your body. The studies have shown that curcuma may increase circulation, prevent blood clots, ease joint pain, delay the onset of type 2 diabetes, and help to improve memory in dementia patients. Curcuma also is good for your skin because its natural property of natural-oil controlling can help oiliness of your skin, its potent antioxidants may also help delay the appearance of aging on your skin, curcuma is able to lighten and brighten your skin dan fades the apperance of dark spot. Curcuma is such a gentle ally that it is great for sensitive skin. Therefore, make this traditional herbal drink as you routine can keep your skin beautiful because fawless, healthy, and younger. This medicinal drink is also known use to ease menstrual cramps. Curcuma able to inhibit synthesis of prostaglandins that are chemicals which responsible to stimulate uterine contractions and contribute to pain and inflammation. This is explain why curcuma has beneficial effect on menstrual cramps. We can conclude this traditional drink is really good not only for your health but also for your beauty. This herbal drink is perfect choice to ease even to cure a sore throat. If you feel the pain on your throat, your voice hoarse or you can speak at all due to your sore throat, try to drink this one herbal drink. Boil all of ingredient for 10-15 minutes and stir until them blend well and all ingredient dissolve in the water. Turn the stove and filter the drink. You can enjoy the warm drink and this herbal drink able to relieve discomfort and may help you feel better.